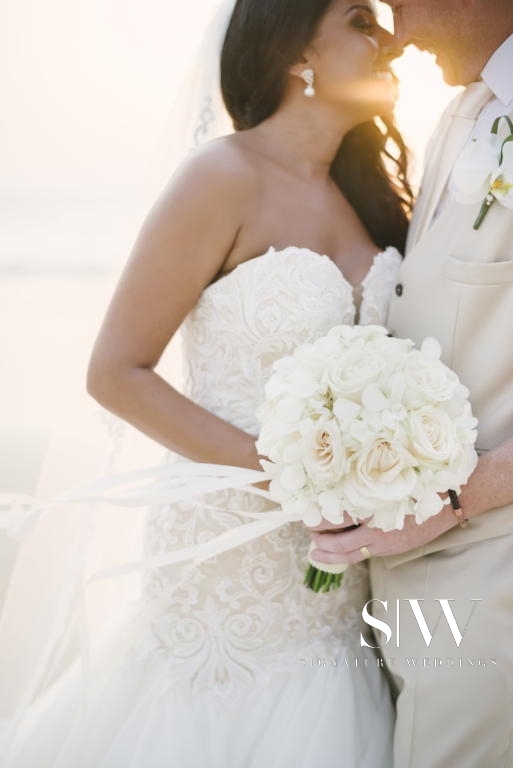 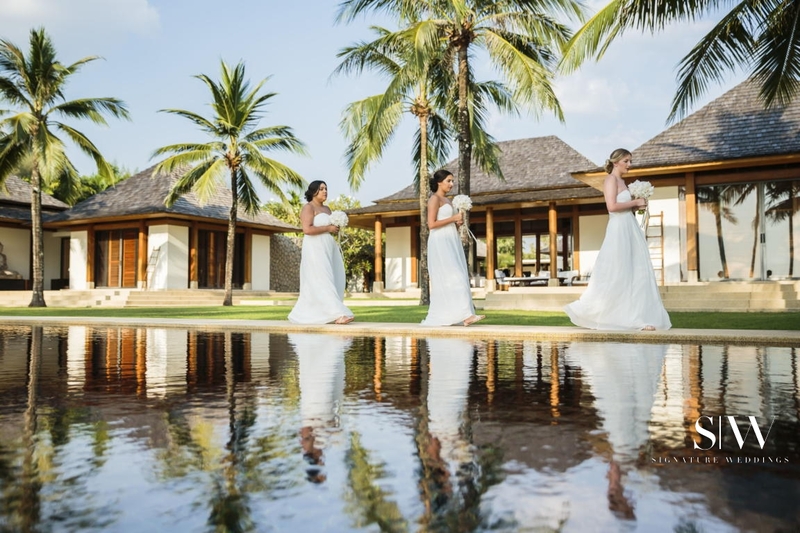 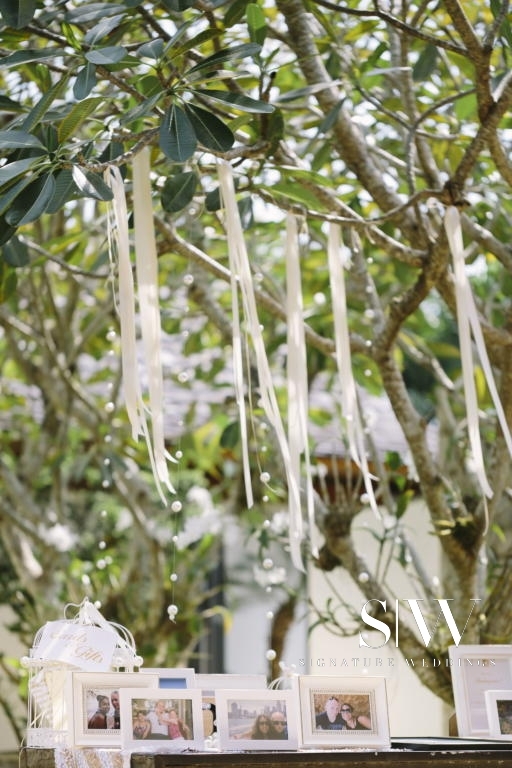 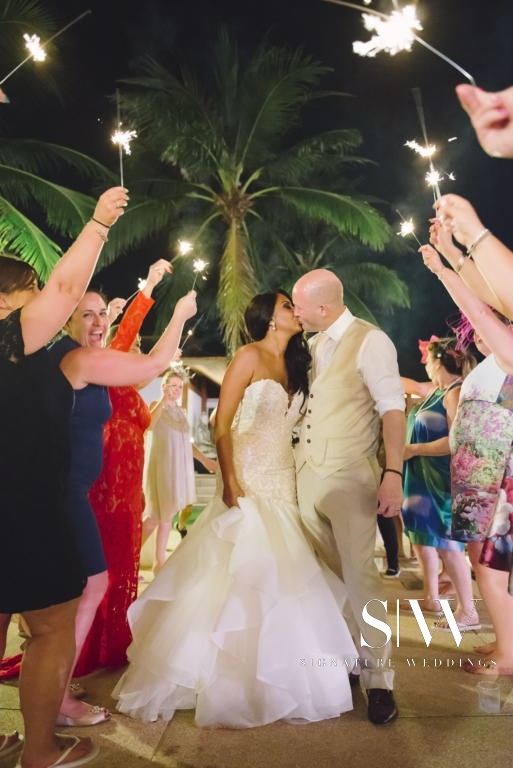 Steven and Hanane, who live in the UK, chose to have their wedding at the Shanti at Jivana Villas which—as they expressed—they chose for its traditional style and beach-front location. 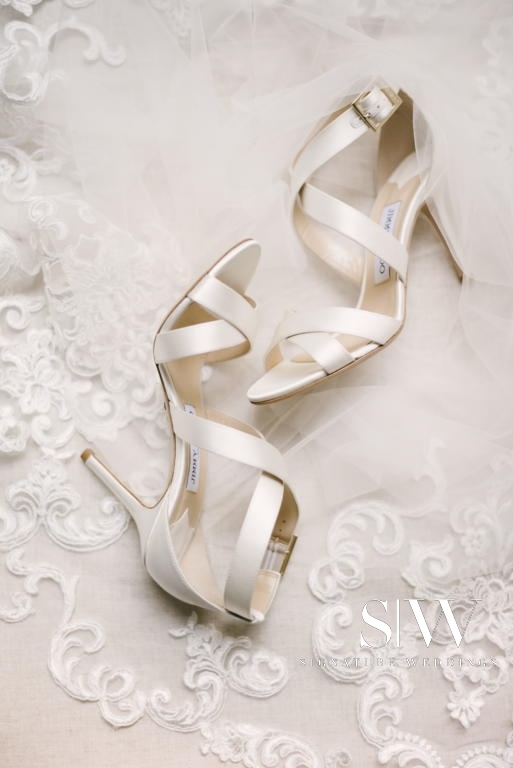 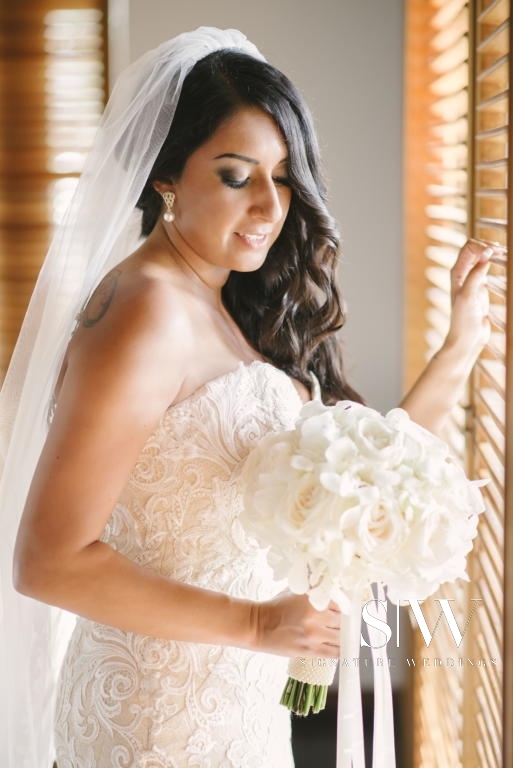 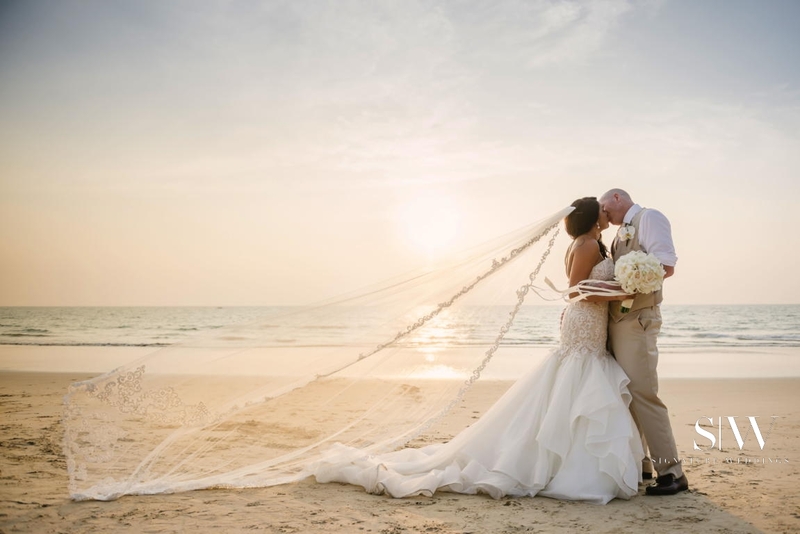 ‘I couldn’t have imagined myself getting married anywhere but Thailand,’ said Hanane. 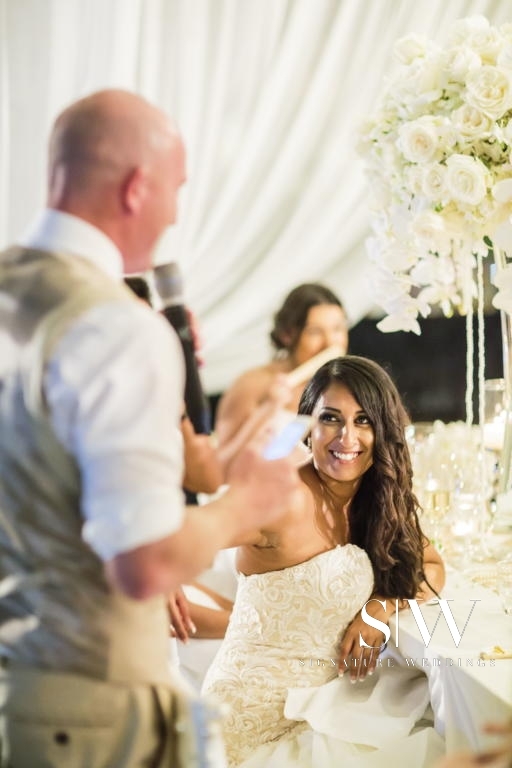 Hanane and Steven had been together for over 14 years already. 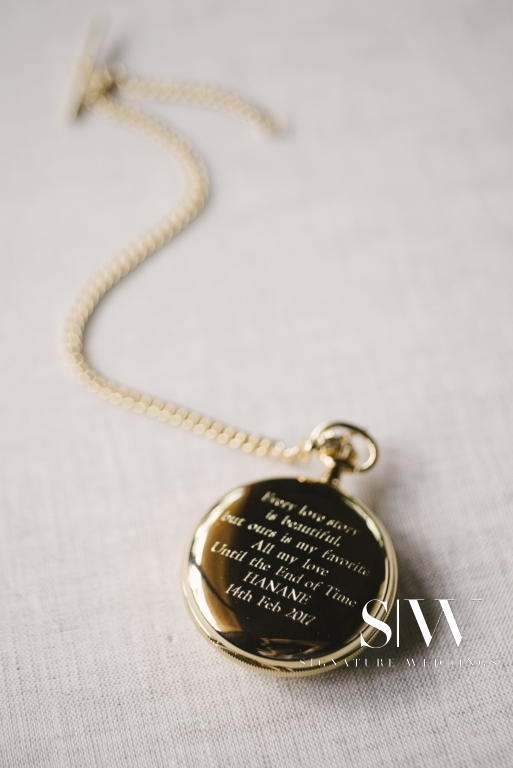 They even celebrated Hanane’s 30th birthday in Dubai with a hot air balloon ride (this was where Steven proposed to Hanane). 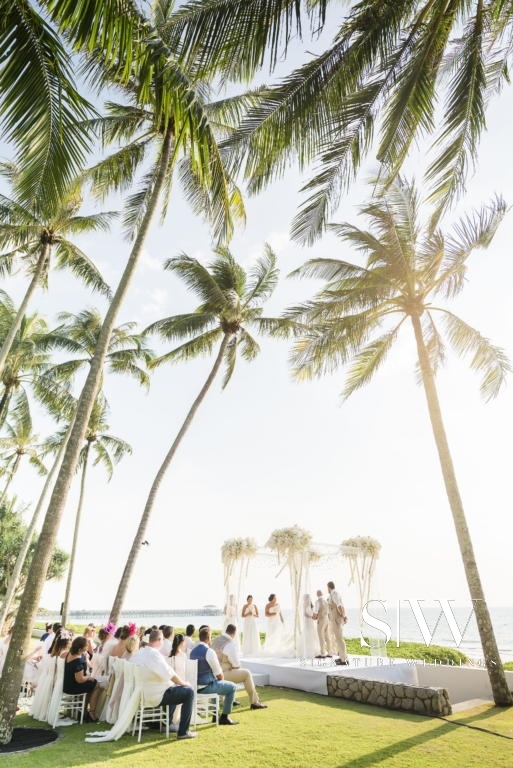 This couple is beyond romantic. 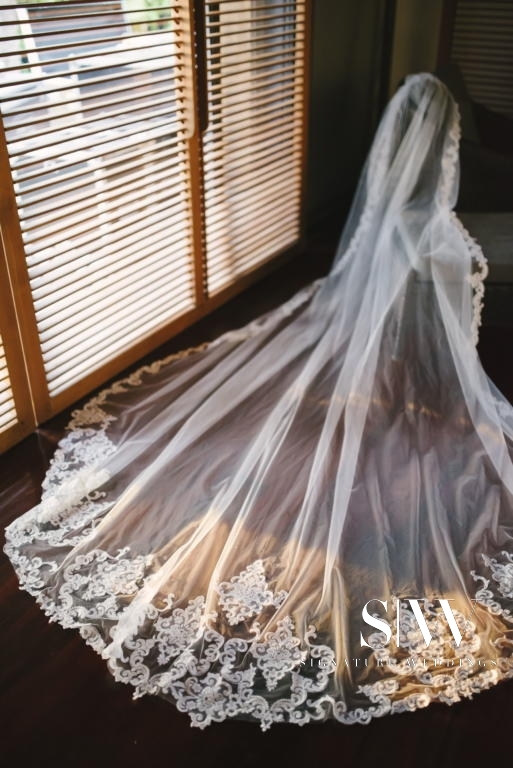 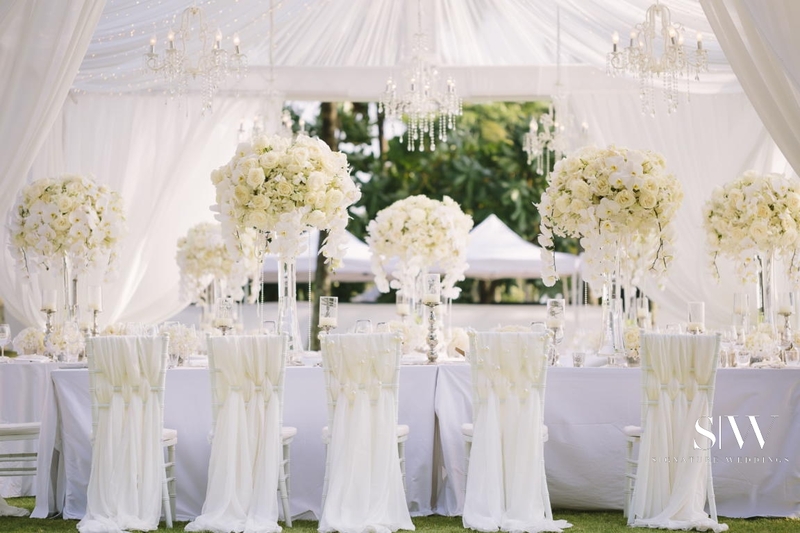 The theme of the beautiful wedding was Clean and Classy, emphasizing a neutral and fresh decoration style so as not to distract from the beauty of the venue’s surrounding. 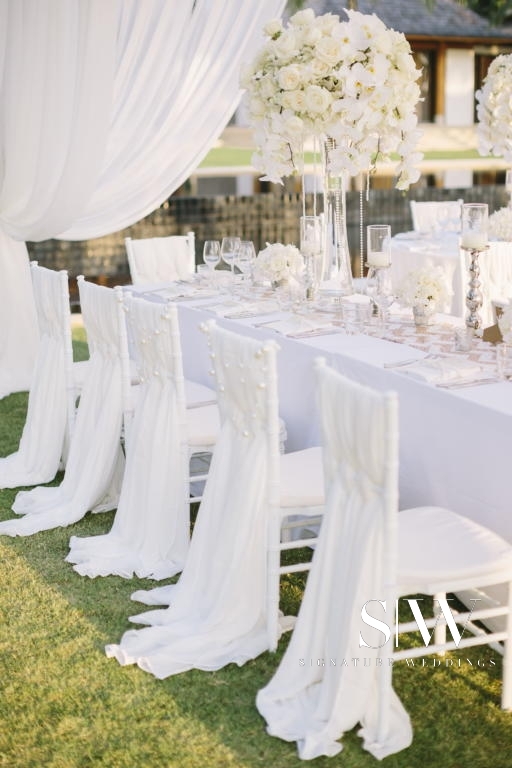 The couple made this wedding their own by including special touches. 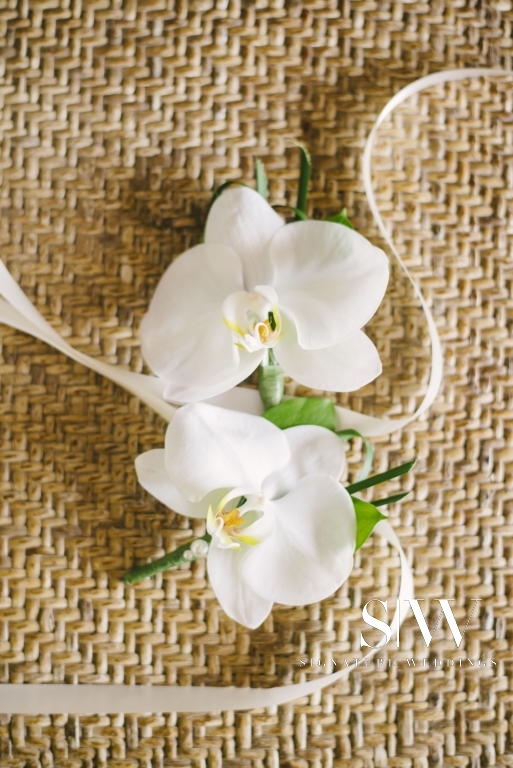 The bridal bouquet, for example, featured a clasp of pearls given by Hanane’s friends especially for this special day. 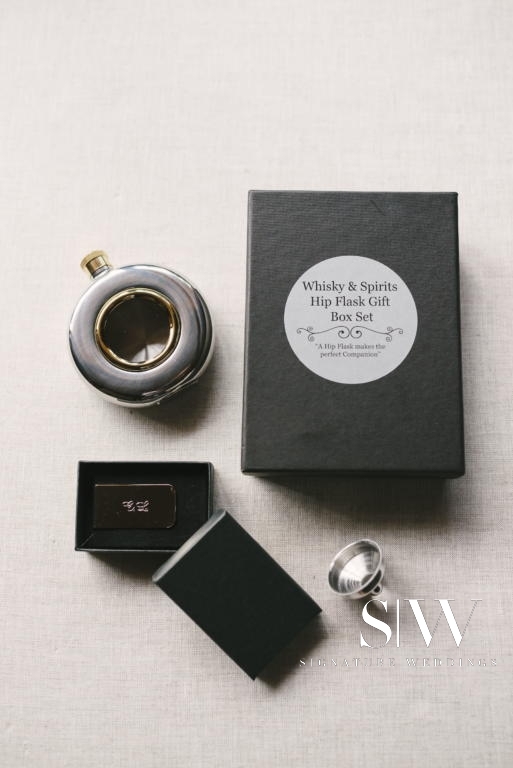 There were cute matchboxes made specially for the cigar table and even customized ‘freshen-up’ baskets in the washrooms. 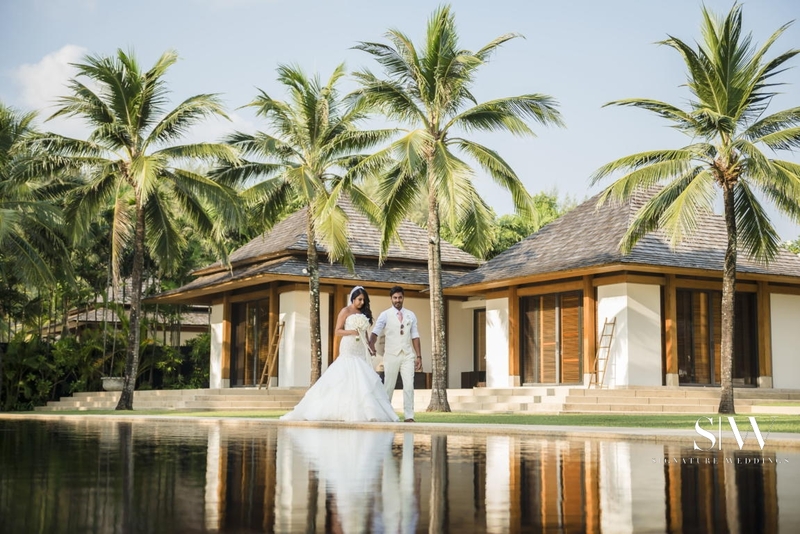 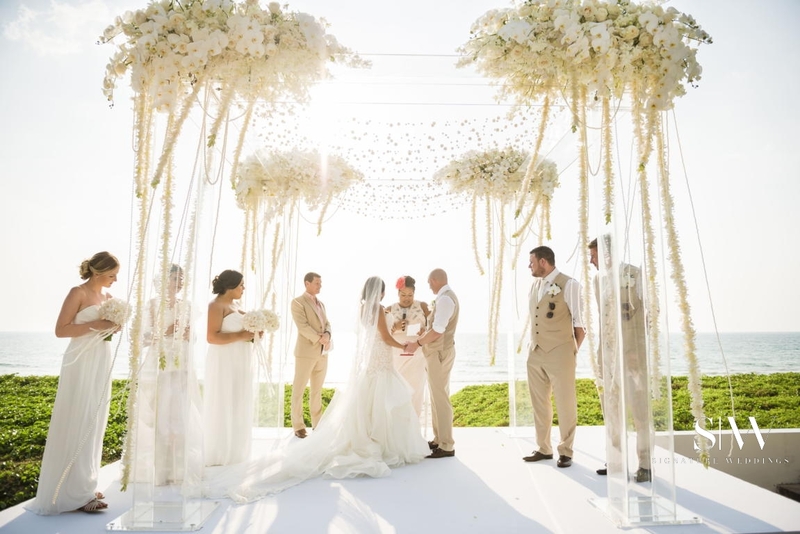 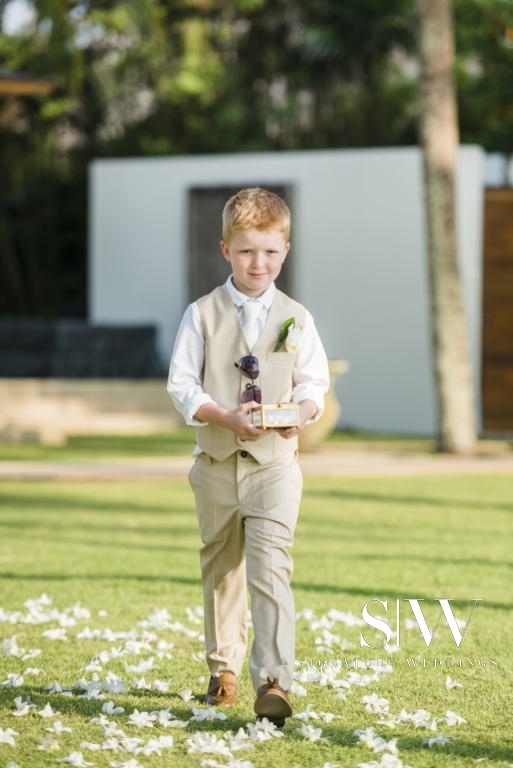 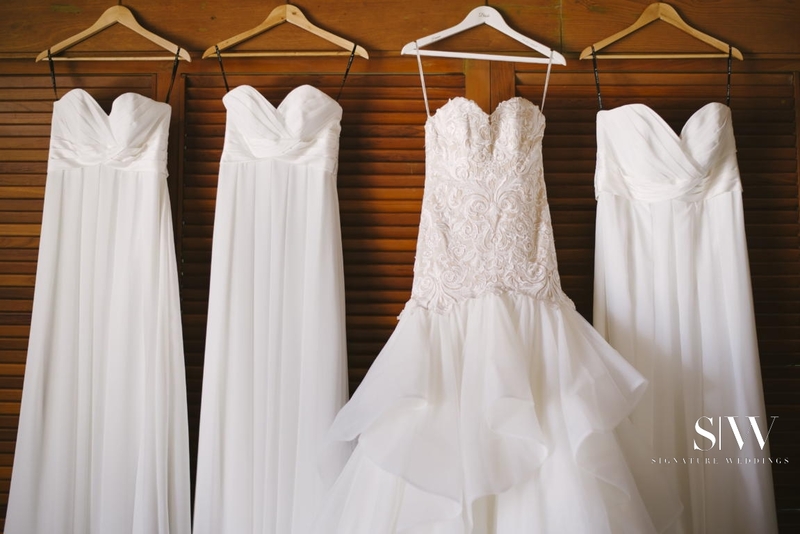 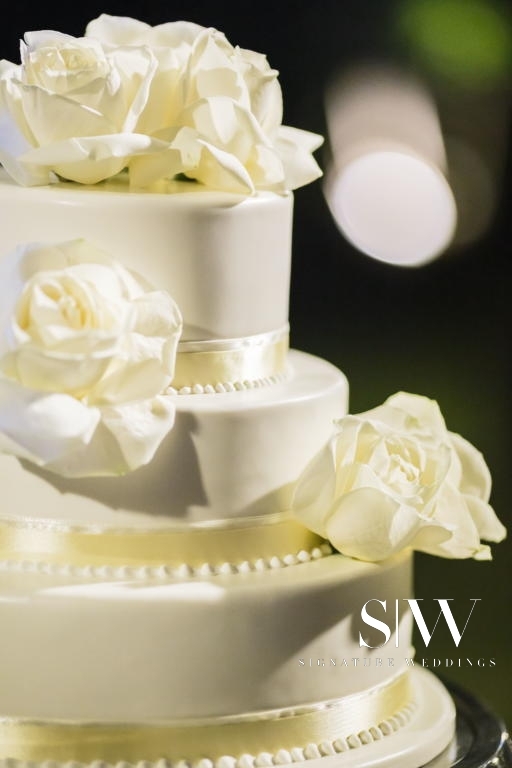 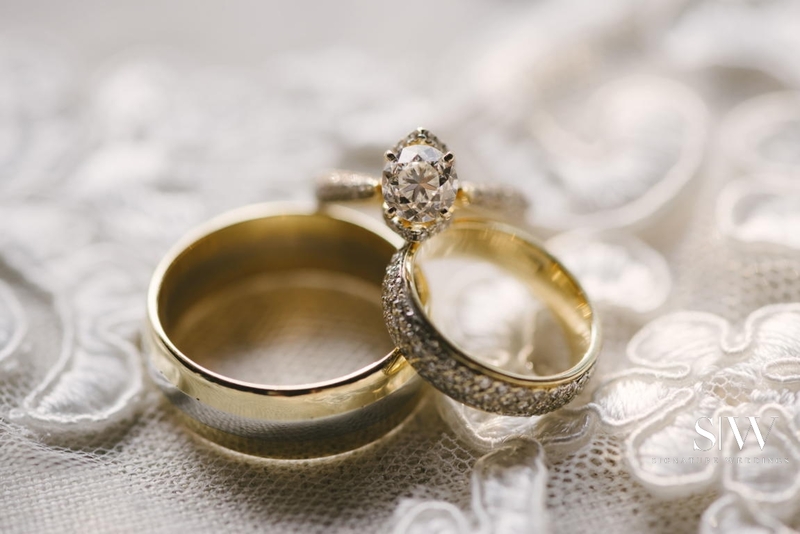 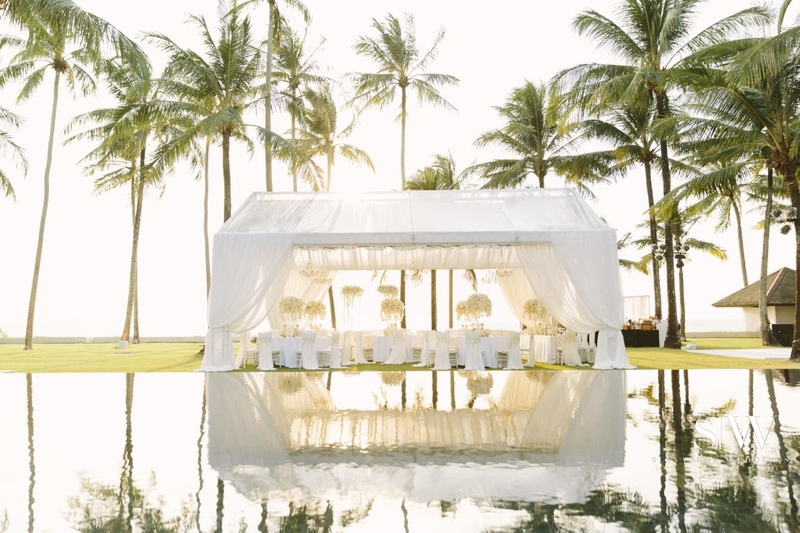 Choosing Luxury Events Phuket as their choice wedding planner, the couple was able to create their dream wedding and having their closest family and friends present made things spectacularly wonderful.